Keep cooking fun, safe and healthy with NUOTEN® Kitchen Knife Sharpener! 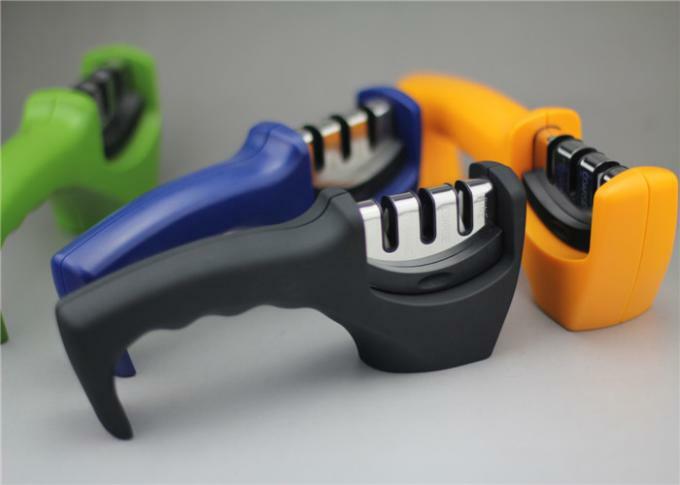 Why Choose NUOTEN® Kitchen Knife Sharpener? The ergonomic handle allows you to restore your cooking knives in a matter of seconds! 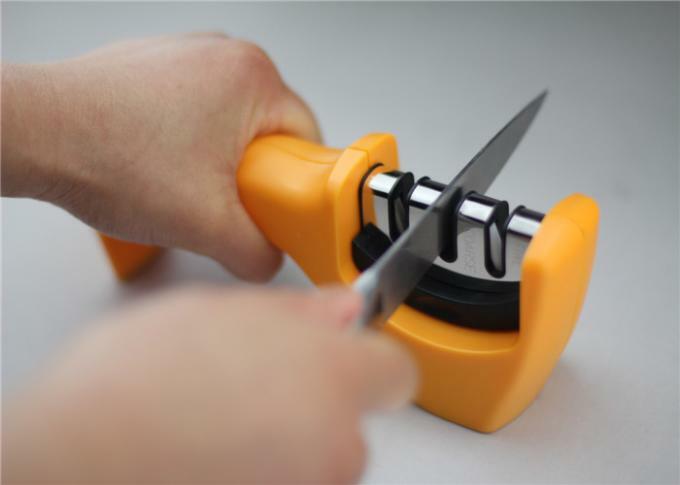 Simply place the blade in each of the slots and gently pull the knife through a few times for fast, effective sharpening. 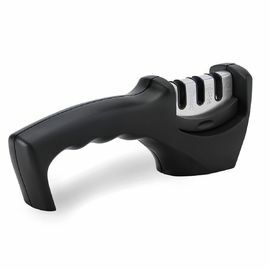 The knife sharpener incredible 3-slot system for super sharp edges on all your knives, even the ceramic knives! Sharpening technology creates double beveled edges that last longer. fast, effective sharpening! Slip resistant rubber feet hold fast to the work surface. Keep safe! Take the knife sharpener head out by pressing and pulling the small groove. Easy to clean! ✔Do not give too much press during sharpening process, neither pull your knife back and forth in the grinder slots, or you will damage the blade. ✔Do not put the sharpener in a dishwasher or rinse in water. ✔After sharpening your knife, wipe the sharpener with a damp cloth or rinse with water, then wipe dry with a soft cloth to clean the metal part and ceramic rod.